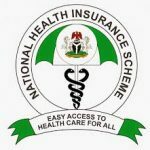 The Federal Government has appointed Mr Ben Omogo, Director, Administration Office in the Office of the Head of the Civil Service of Federation to oversee the affairs of the National Health Insurance Scheme (NHIS). Health Reporters learnt that the government also instituted a 7-man panel led by Dr Hassan Bukar, and Mrs Jummai Idako from the Office of the Secretary to the Government of the Federation as Secretary, to probe and report their findings within two weeks for appropriate action. The presidency had on Tuesday asked Prof Yusuf to proceed on administrative leave to allow unfettered investigations of the allegations leveled against him. It would be recalled that the embattled executive secretary of the NHIS was first suspended by the Minister of Health, Prof. Isaac Adewole, on July 6, 2017, over alleged maladministration, but was recalled by the Presidency on February 6, 2018.